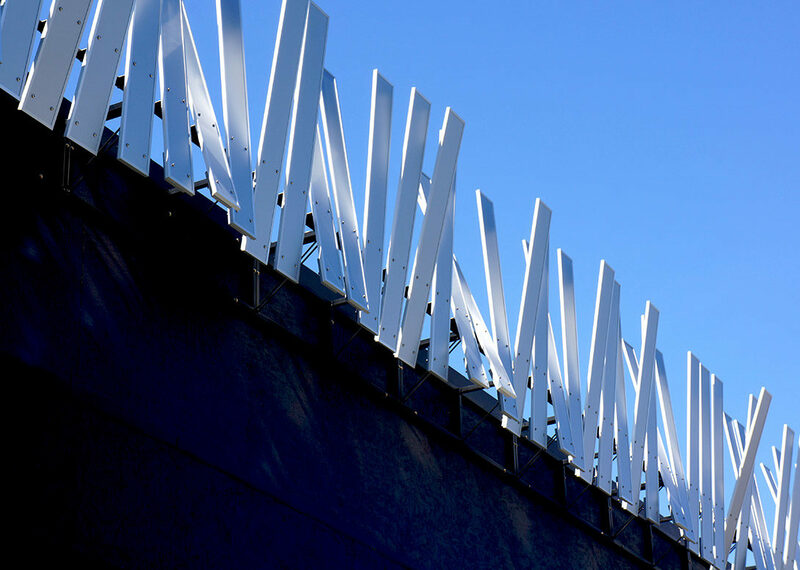 Intended to suggest a turbulent picket fence, the artwork consists of a series of counter-weighted boards that sway in the wind like tall grasses. 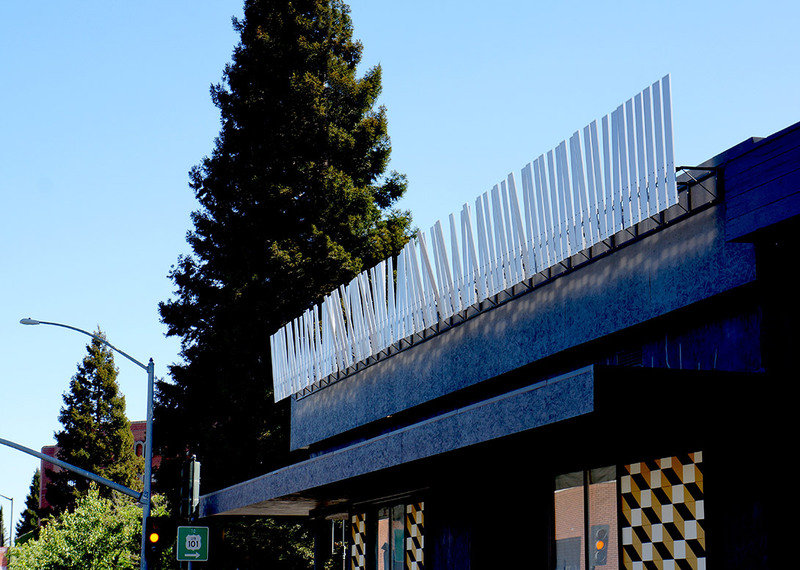 Mounted to the roofline of the building, the artwork serves to dematerialize the boundary between architecture and sky. Designed in collaboration with Jensen Architects, completed in 2015.